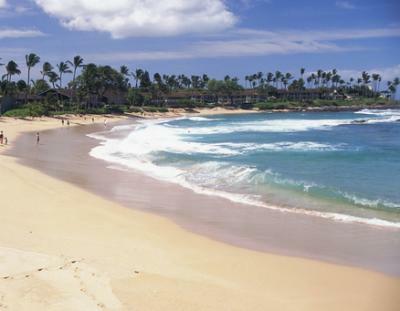 Other than the long cross-pacific flight if coming from the mainland, the Hawaiian Islands offer many wonderful places for a babymoon. My husband and I live on the Big Island and last year flew to Maui for our own "babymoon." The islands boast wonderfully fresh air and seawater and we choose to spend our vacation on the sunny side of the island. The views were gorgeous and uplifting and it was nice to be out of the rain for a while. We stayed in a private vacation rental (found by searching online) and spent time in the town of Lahaina where there were lots of great restaurants and activities. Everyone we came in contact with was so friendly and helpful and interested in the concept of a "babymoon", especially the folks working in the tourist trade. Maybe in the future there will be services catering specifically to this type of vacation!